Coors Light Canada Commercial 2016 - Will You Brave The Cold? 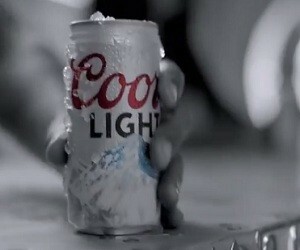 Coors Light Canada has released a new commercial to celebrate the bravery and asking you “Will You Brave The Cold?”. In the 30-second spot, the voiceover says: “The coolest brewing company was born in the Rockets, so we understand those who rise to a challenge no matter how high the mountain. We get your thirst for taking chances, for putting yourselves out there and up there, for the ones who always go above and beyond. We brewed you a cold one. We strive to make it taste as cold as the mountains where it was born. That’s why we cold lagered, filtered and packaged every beer we brewed”.